Sometimes the best relationships can be found in friends with benefits, especially if you have commitment issues. Now get your mind out of the gutter, I’m not speaking about people, but RV rentals instead. Choosing an RV and ultimately buying it can be a lot of commitment, and maybe you’re just looking to take the family on a great vacation rather than re-invent your lifestyle. In which case, it makes a lot of sense to rent an RV rather than buy one. Who knows after the first date you might just decide to go ring..uh….I mean RV shopping. But before you say I do to the first wide-bodied Super C that comes along, let us help you test the waters, and offer you some valuable tips on renting an RV. Depending on what size you need figure on spending between $1000 to $2000 for seven days and 700 estimated miles of road trip camping fun. Sizes vary between compact (sleeping three) to standard (sleeping five) up to large (sleeping 8). Choose a reputable and national or international company. You won’t need a special driver’s license. The best are custom built for the rental market with user-friendly designs, residential appliances and bathroom fixtures, and many special features including recessed bumpers, lower roof heights, and durable materials. 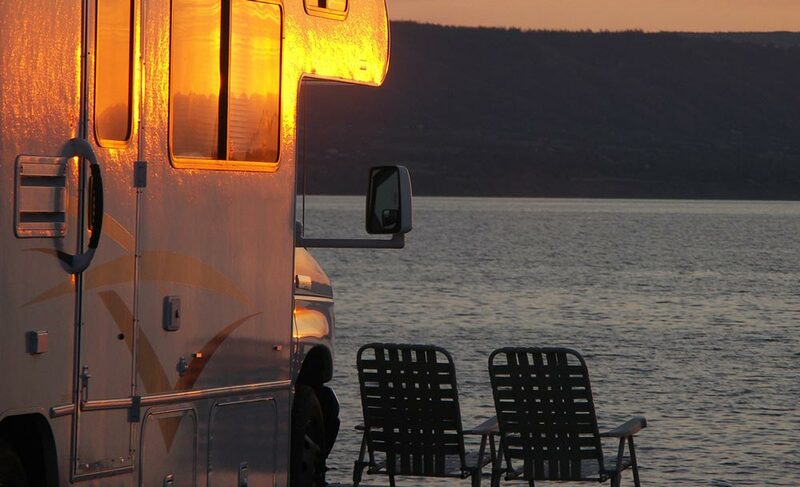 Now that you have the right information and know what to look for when renting an RV, get a map, set a destination, and have the time of your life!